Prominent & Leading Manufacturer from Chennai, we offer 250 lph ro plant, commercial ro plant, single pass reverse osmosis plant, ro plant, reverse osmosis plant and 500 lph reverse osmosis plant. With a thorough knowledge of various aspects, we are prominently rendering a quality range of Industrial 250 LPH RO Plant(Reverse Osmosis Plant). These products are fabricated using quality raw material and advent technology procured from trusted vendors of the market. It is effective in cleaning water, killing microorganisms and bacteria due to which it is appreciated across the region. Through these facilities, we offer safe and pure water for various applications as below: o Drinking water Schools/Colleges/Offices Public/Private places like a bank and railway City/Town/Villages (Nagarpalika/Grampanchayat)o Restaurants & hotels. 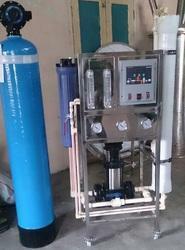 We are one of the manufacturers, supplier and trader of wide range of Commercial RO Plant. 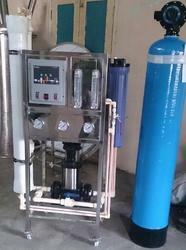 We are the affluent manufacturer, exporter and supplier of a wide assortment of Single Pass Reverse Osmosis Plant. The osmosis equipment offered by us is manufactured from supreme grade material and leading technology with the set industrial standards. This osmosis equipment is tested against numerous parameters by quality experts to ensure its flawlessness. Also, this osmosis equipment can also be customized as per various specifications of our customers. We are dealing in the RO Plant for Rent as well. Civil and Electrical works to be kept ready before installation. Sufficient bore water should be available at the site. TDS of water shouldn't be more than 1200. Electrical n Water bill to be borne from your end. To run plant maximum 10 hrs per day. Major complaints if any after installation like a pump, membrane break down expenses will be 50/50. Time to time plant servicing will be taken up from our end. Break down service will be attended within 2 days. To take care of plant at the site by a responsible person. If the plant is not needed will repay 50% of advance and will take back a plant. Monthly rental payment to be made with in 5th. Transportation and Installation: Rs. 5000. 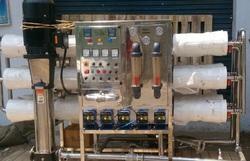 We are engaged in manufacturing, exporting and supplying a broad array of Reverse Osmosis Plant. In addition, our offered osmosis plant is tested against numerous parameters by our quality controllers for assuring a flawless range at customer’s end. Fostered with a team of highly experienced professionals, we have been able to manufacture and supply excellent quality 500 LPH Reverse Osmosis Plant.The offered plant is utilized for purification of water through reverse osmosis process and makes it drinkable. This plant is manufactured under the stern guidance of our team of experts using quality tested components and advance technology. Furthermore, clients can avail the provided LPH RO Plant (500) from us in different specifications at industry leading price. 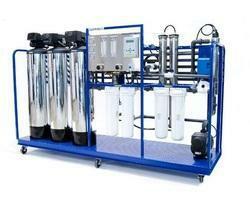 Our firm brings forth an immaculate variety of Reverse Osmosis Equipment.